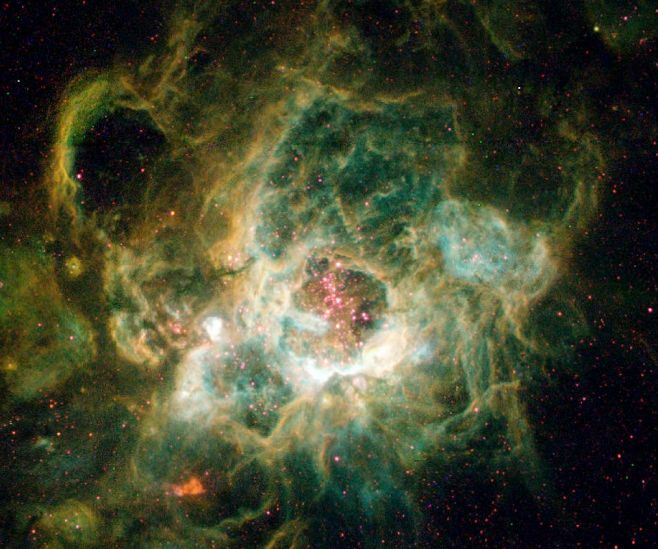 Explanation: Scattered within this cavernous nebula, cataloged as NGC 604, are over 200 newly formed hot, massive, stars. 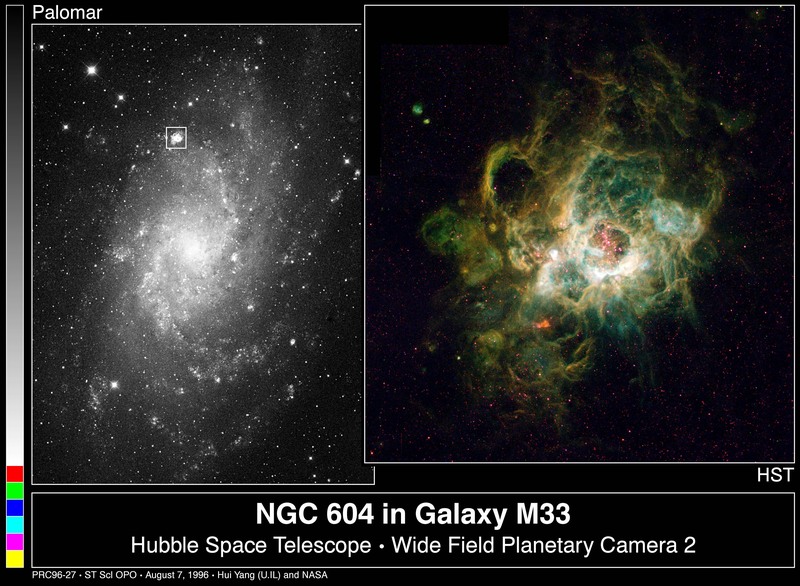 At 1,500 light-years across, this expansive cloud of interstellar gas and dust is effectively a giant stellar nursery located some three million light-years distant in the spiral galaxy, M33. The newborn stars irradiate the gas with energetic ultraviolet light stripping electrons from atoms and producing a characteristic nebular glow. The details of the nebula's structure hold clues to the mysteries of star formation and galaxy evolution.